market the service in India. "We were trying to get SMS based data service technology on our own but learnt that Be-Bound has already developed this technology and has been given patent for it. 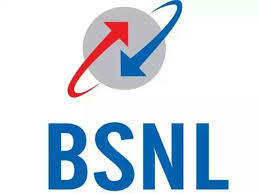 This technology is very good to support operations of apps when there is no Internet connection," BSNL Chairman and Managing Director Anupam Shrivastava told PTI after signing the pact. The technology will be embedded in mobile apps. The app will send command to Be-Bound server in case it does not get data connectivity for SMS-based connectivity. "Be-Bound server will facilitate SMS connectivity after getting command from the app. The app will also send SMS from user's account because for connectivity we need to send sms to and fro. We know that there is limit of 100 SMS per day per subscriber which is sufficient for this service," Be-Bound Country Manager Harkaran Singh Sachdev said. The company has commercially launched the service in France and is running a pilot in African countries as well. "We are in talks with some of the apps and seeing traction from firms in BFSI segment, logistics and others. We have done proof of concept with some of them and now soon convert them into commercial agreement," Sachdev said. Bsnl 3G network not available in my village. We are face many problems because we aar not use Internet. Please upgrade your network.